We braved the terror that is I-70 and headed east. For much of the way, the lane markings had been worn off by snow plowing. That, coupled with some insane drivers (like the guy who slowed down to 20 mph in the center lane to merge into the fast lane), frequent sharp turns, distracting views, and tunnels made for an adventure. 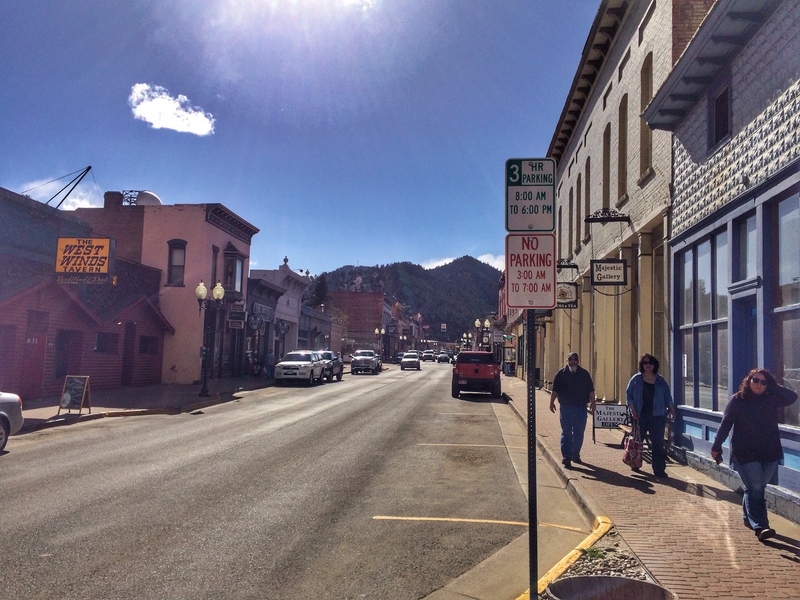 We pulled off in Idaho Springs and parked downtown. 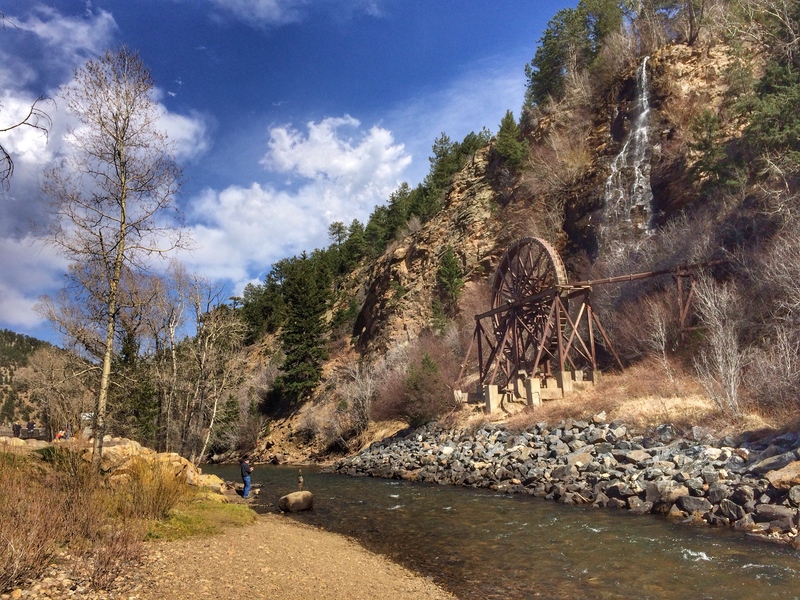 A trial led under the interstate to Clear Creek and Bridal Veil Falls. 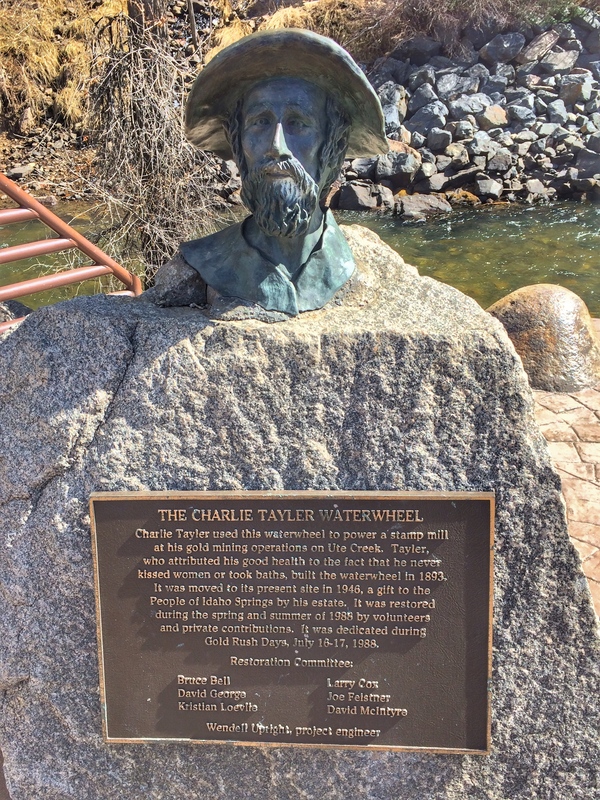 The giant wheel was used in gold mining by a local eccentric named Charlie Tayler, who “never kissed women or took baths.” There may be a connection between the two. We walked through this town too, but by now all the stores were beginning to look familiar. 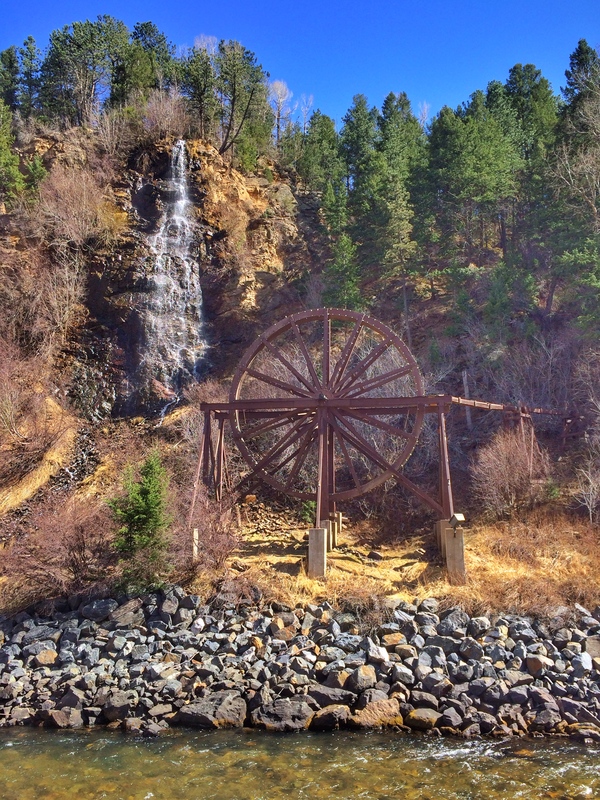 An old narrow-gauge trail sat in a park along the highway. 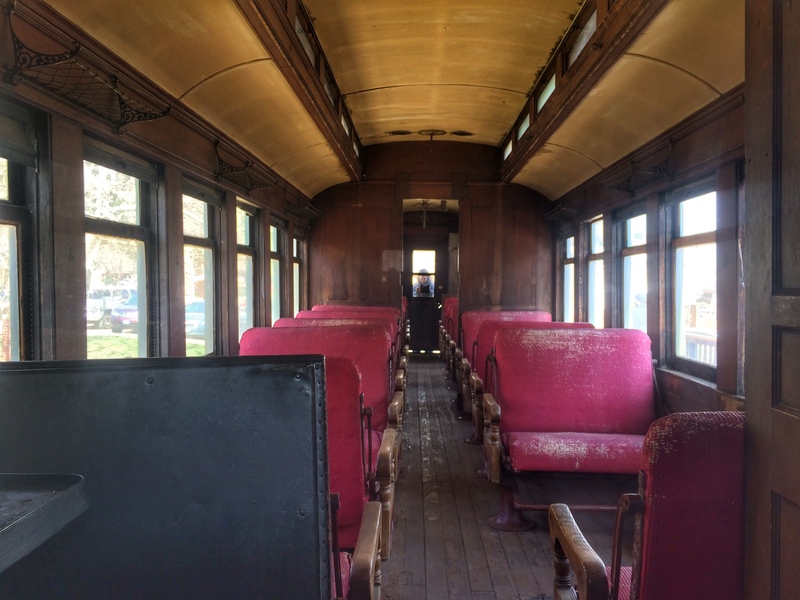 I took a photo down the length of the passenger car towards Karen who was taking a photo from the other end. 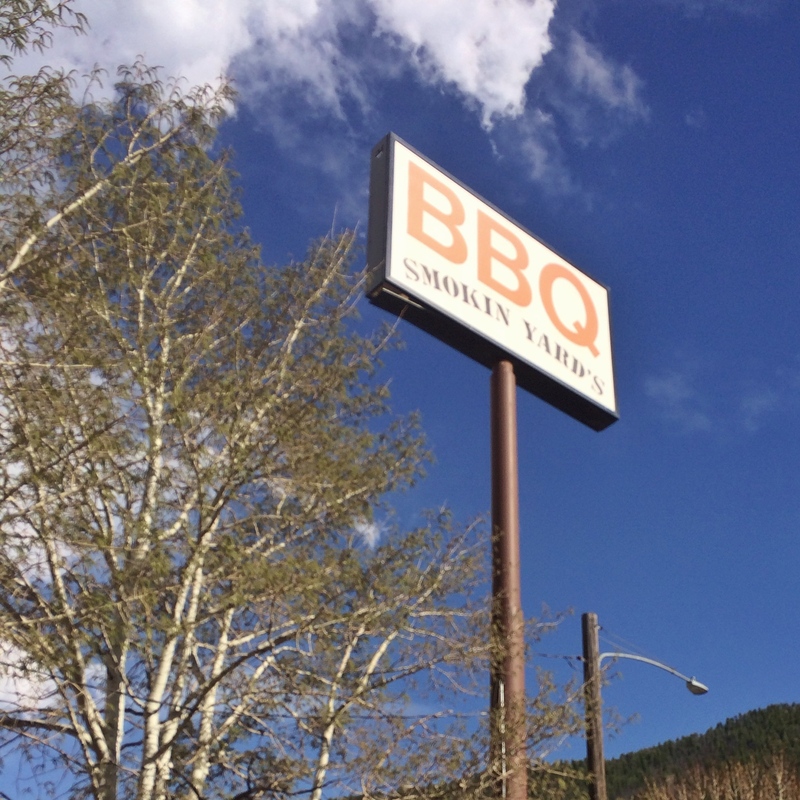 We ate dinner at Smokin’ Yards (which my GPS pronounced “Smock … In Yards). I ordered a combo plate with St. Louis ribs and brisket. 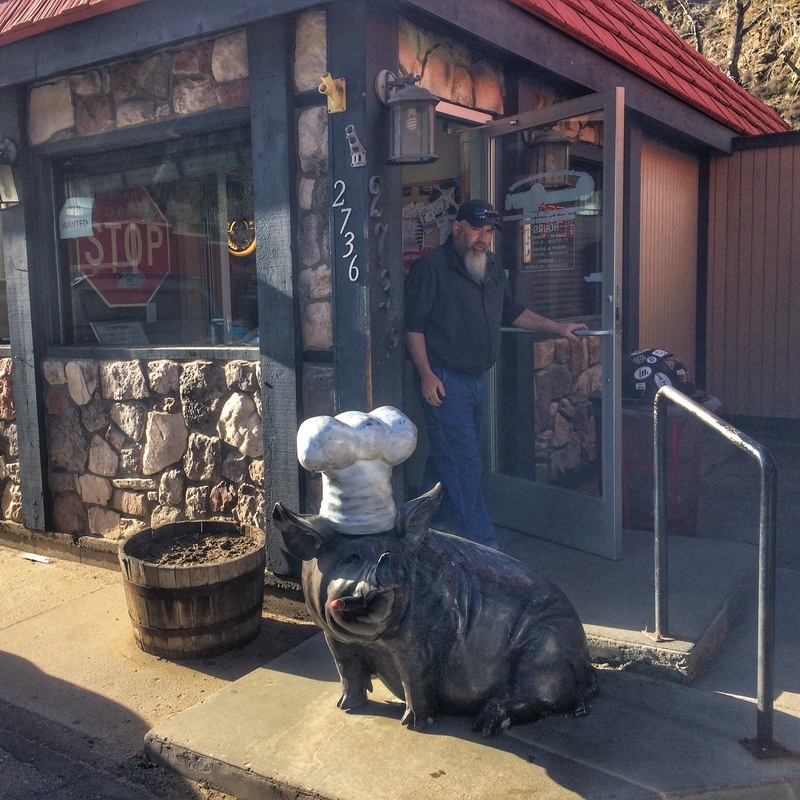 I do believe it was the best barbecue I’ve ever had. 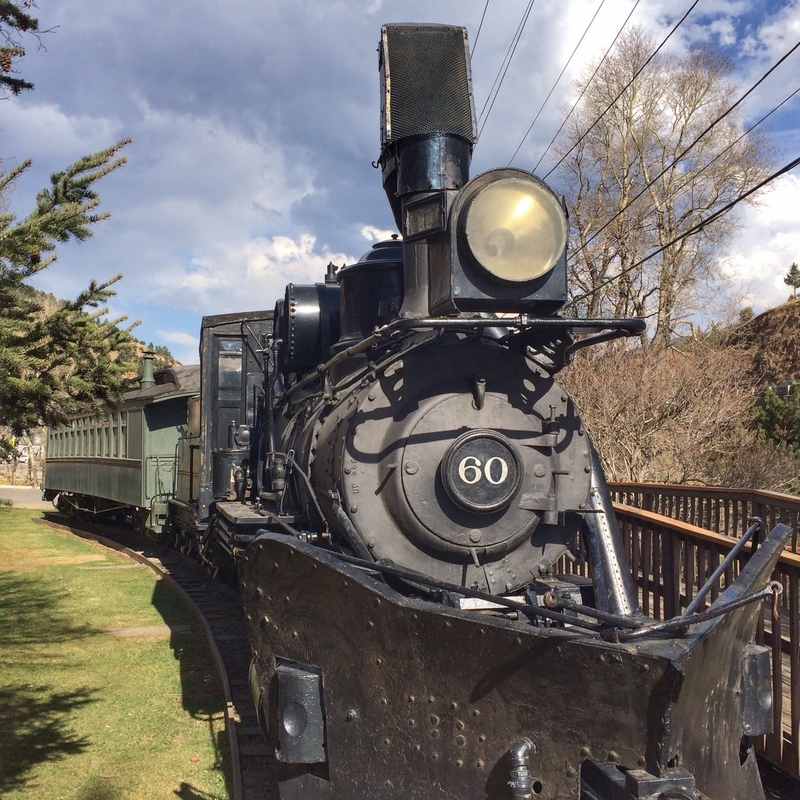 Nate and Karen headed back west to Silverthorne for the night, then drove all the way home to Elgin on Saturday. Sally and I headed east toward Denver and then back to the Chase’s.